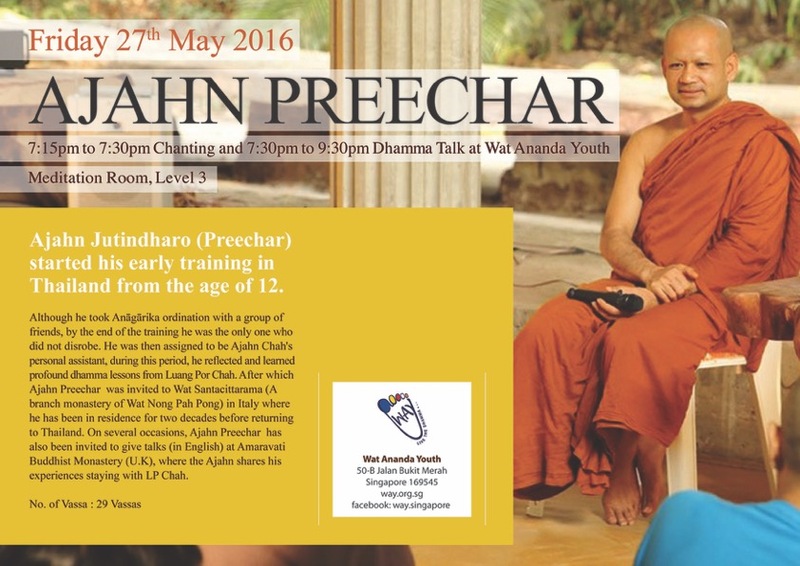 There will be a talk by Ajahn Preechar on the 27th of May. Please refer to the attached poster for details. Do visit our website or facebook for the latest information in case of changes and updates. This entry was posted in Forest Way, Uncategorized on May 6, 2016 by wayadmin.